Drones are unmanned flying aircraft operated by remote controls, and users do not require any special licenses to operate. Drones have become popular world over,with a whole range of applications. Their usage has become part of the norm with the Military using them in warfare, wildlife services such as the KWS using them to tackle poaching and Internet companies like Amazon using Drones to deliver goods that consumers have purchases. They have been used for rescue activities, where a drone helped rescue two boys from drowning. In the recent past, drones have come under sharp scrutiny, as they continue to pose serious danger to air travel operations. In one incident in May, a commercial airline almost collided midair with a drone near the LaGuardia airport in New York. In another incident, a drone nearly collided with a Lufthansa plane approaching Warsaw International Airport. To avert such cases, Google and Amazon announced last year plans to push for the creation of a super highway specifically for drones. The drones would communicate their positions to a centralized communication system available to all operators as the case with aviation operators. 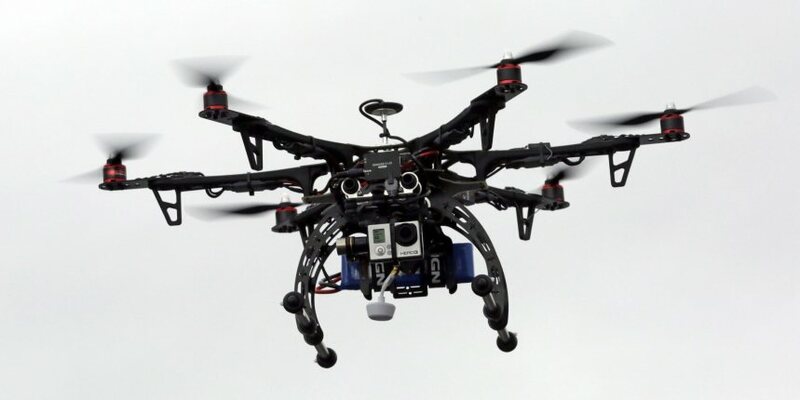 NASA was to lead the efforts to create the traffic system aptly called the Unmanned Aerial System Traffic management. Now an incident took place over the weekend where a drone hit a British Airways flight from Geneva at the front. British Authorities have been especially stringent on the flying of drones near airports and have been calling for their registration. Other than the possible dangers of collisions posed by drones to aircrafts they may also damage critical flight equipment or the drone may get sucked into the engine of the plane, causing a stall as happens with birds.